Contact lenses are a fantastic way to correct your vision, or to change your eye colour for fun. They’re convenient, comfortable, and easier to look after than ever. Always wash your hands with soap and water before putting your lenses in, or taking them out. Your hands don’t have to be sterile, just clean, and dry them with a towel that’s not too fluffy. Anything that’s on your hands will be absorbed into the material of the lens and go into your eye. Wear the lenses for the time recommended by your optometrist, don’t wear daily lenses for a second day, or stretch monthly lenses longer than a month, and if you use soaking solution stick with the brand recommended, and replace your case every month. Don’t ever rinse your lenses in tap water, it has all sorts of bugs in it that cause eye infections. If your eyes get red or sore, or your vision doesn’t feel right, take the lenses out and see your optometrist. Don’t mix your lenses up. Put the right (or left) lens in first each time to make this easier. Always put your lenses before putting on makeup and take them out before removing makeup, this keeps the lenses cleaner and you can see more clearly too. If wearing a reusable lens, clean and disinfect your contact lenses using fresh solution each time, don’t just top up the solution from yesterday. Have an regular eye exam, generally every 12 months, even if the lenses feel good! If you’re using a lens that is stored overnight in solution, don’t change brands without advice from your optometrist. 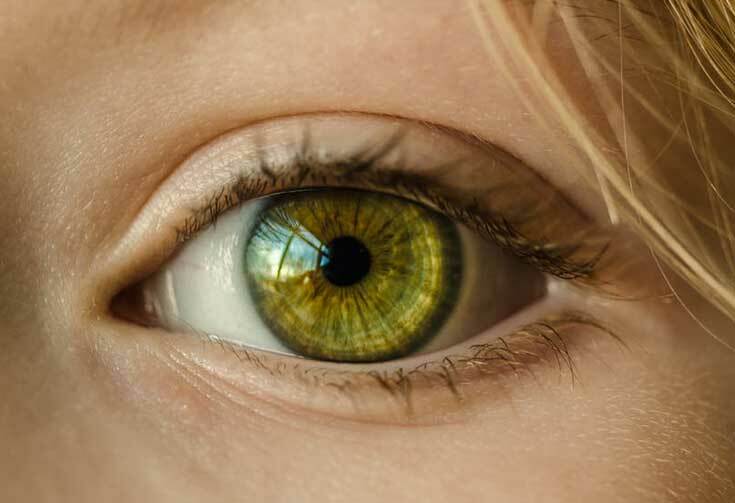 Some soaking solutions work better with different types of contact lenses, and peroxide solutions need to be neutralised before you wear your lenses the next day. Not doing this properly can make your eyes extremely sore and red. Never store your lenses in saline solution, saline is not a cleaner or a disinfecting solution, and is only used for rinsing lenses. Eye infections can leave serious scarring and affect vision permanently, so contact lenses in most of Australia are a prescription only item, even if they are decorative and have no corrective power. Lenses are not a “one size fits all” solution. You should never wear someone elses’ lenses, even if they haven’t opened them, and you shouldn’t wear lenses without being shown the proper care and handling by your optometrist. They can also show you the best eye drops to use if your eyes feel sometimes dry with the lenses in, so irritated eyes don’t spoil your fun!